- The rise in smartphones and tablet adoption has made it easy for people to access your emails from anywhere at anytime. - Depending on your industry, most leads will require some form of nurturing before they are ready to engage with a sales rep.
- Sophisticated email delivery tools like those in marketing automation solutions now make it easy for you to create targeted, relevant, personalized (and perhaps most importantly, automated) email campaigns. It should therefore come as no surprise that according to a 2013 benchmark report from MarketingSherpa, 64% of companies planned to increase their investment in email marketing in 2013. So assuming email plays an important role in your marketing strategy, do you know if your email campaigns are working? Better yet, can you prove it to your CEO? If your CEO asks you to show him or her the ROI from your $40,000-a-year marketing automation investment, how would you respond? Email delivery tools do give you a wealth of data on email performance. But most CEOs don't want to hear about email delivery and open rates, clicks, and unsubscribes. Those are good metrics to help you shape your email marketing content and strategy, but they rarely impress C-level executives. CEOs care about money. That's why the best way to prove email marketing ROI is to show its impact on lead generation, and more specifically, how email is helping convert leads into opportunities, and opportunities into revenue. Being able to prove how email marketing is impacting lead gen and revenue requires three analytics tools. The first is an email delivery or marketing automation tool like Marketo, Eloqua, or Pardot. These tools not only enable you to create and deliver email blasts and nurturing campaigns, they can tie any online activity (web form downloads or online purchases) from those campaigns to the emails that generated them. What's more, most of those tools can integrate with a CRM system, the second analytics tool for measuring email ROI. CRM systems like Salesforce.com or SugarCRM can track leads through the sales cycle, and that means being able to prove to execs that your email marketing has generated X amount of web downloads and assisted in generating Y amount of opportunities and Z amount of revenue. The data available from a email delivery or marketing automation tool integrated with a CRM system can be very powerful, but if that's all you are using to defend your email marketing, you aren't doing it justice. - Your emails might not be getting credit for a ton of phone leads. While you may not think of email as a major source of inbound calls, you might be surprised how many calls your emails are generating. Personalized emails asking recipients to call you can be very effective, especially in nurturing campaigns. And people who read emails on mobile devices like smartphones are often more prone to call a business rather than fill out a web form (it's just easier and more natural). - Inbound phone calls are often from leads who are ready to engage with a sales rep, and therefore more likely to become revenue than a web download. Phone calls are the leads you most need to track back to your emails. That's why the third analytics tool marketing teams should use to measure email ROI is call tracking software. 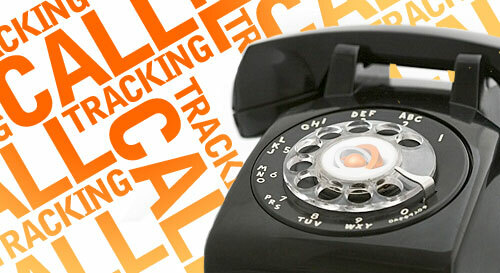 Call tracking tools enable you to include unique trackable phone numbers in your emails to measure the calls they generate. Even if an email recipient clicks on a link to your site and browses around before calling you, call tracking software can still tie that call to the email that originated it. And like email delivery and marketing automation tools, you can integrate call tracking software with your CRM system to follow each phone call through to revenue. By using all three analytics tools together, you can share detailed, accurate reports on the impact your email marketing is having on the business's bottom line. It's an extremely compelling story that CEOs can understand. Plus data from call tracking software can be included in your email reports along with open rates, click throughs, and other metrics to evaluate and improve the effectiveness of email content. If you do email A/B tests, for example, calls generated is a very powerful data point that should factor in to your decision as to which email version works best. This article was written by Blair Symes, demand generation manager at Ifbyphone. To learn more about call tracking and measuring your email marketing ROI, you can download the white paper, "Tracking Phone Leads: The Missing Piece of Marketing Automation."